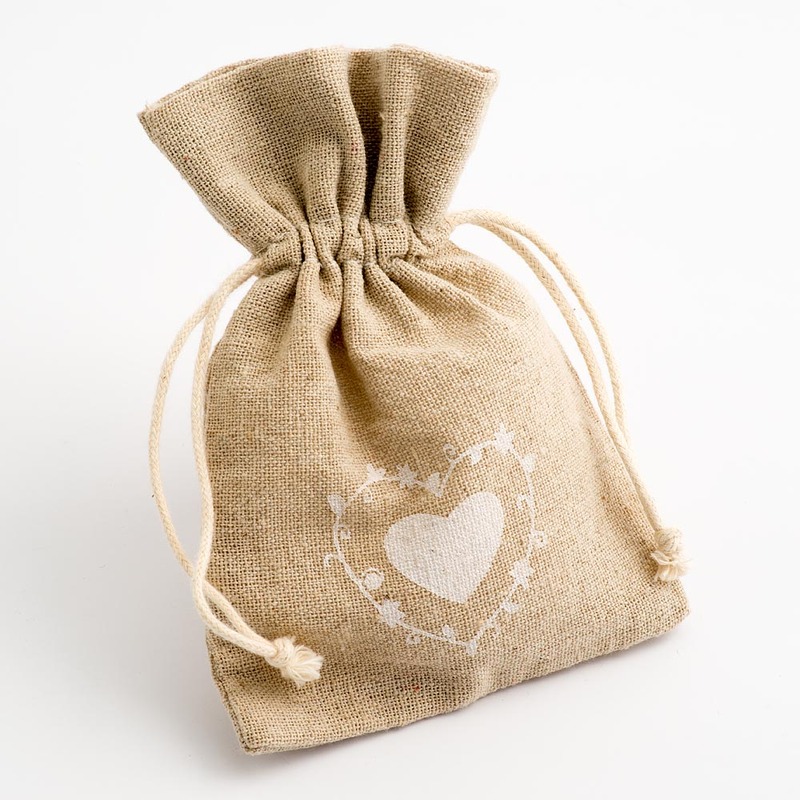 Beautifully crafted from high quality hessian fabric and printed with a delicate rustic heart design. 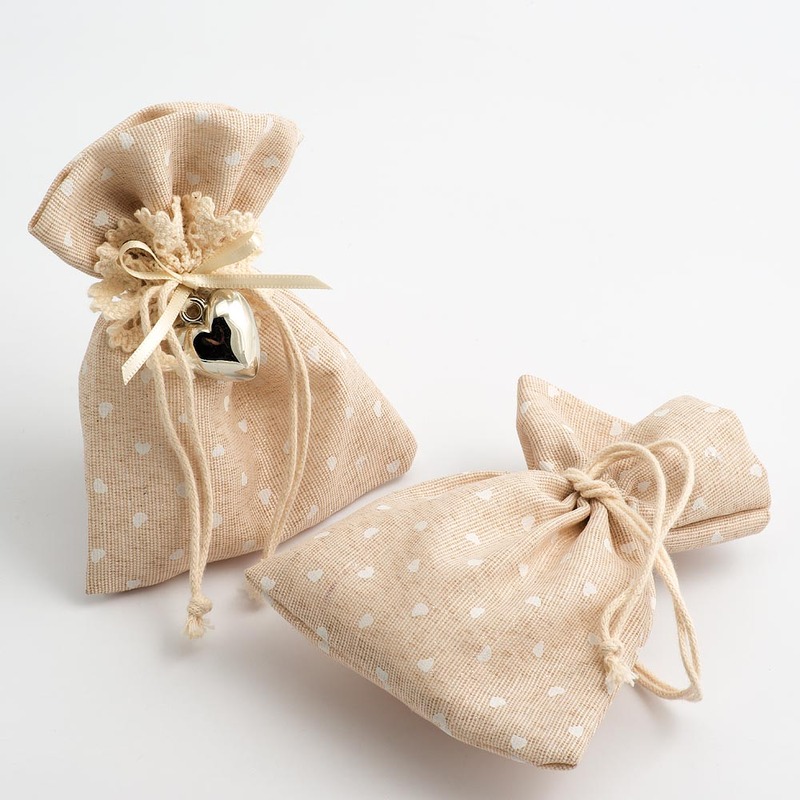 These natural coloured jute favour bags are perfect for any colour scheme; rustic, vintage or shabby chic inspired occasion. 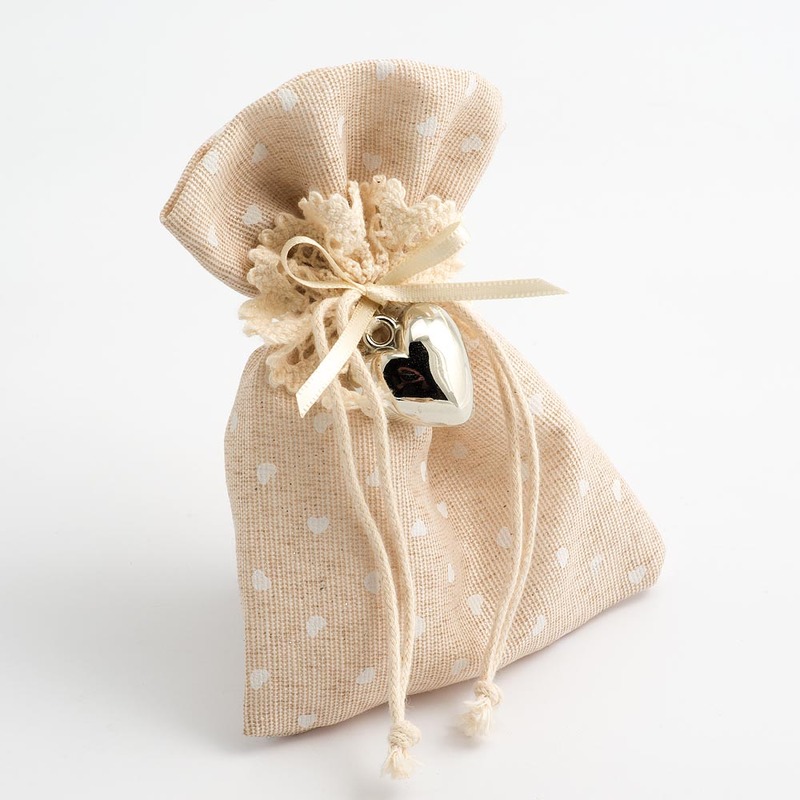 Size of Bag: 10x14cm, 4x5.5ins, with an area of 10x10cm when drawn up.